On Thanksgiving, you really can’t have too much delicious food…especially dessert! In celebration of America’s number one food holiday, break out of the norm and bake up some of these Thanksgiving-themed desserts. The key to a delicious Thanksgiving is most certainly the tur-key! Transform the most famous Thanksgiving menu item into dessert with these turkey rice krispy treats. Using a traditional rice krispy treat recipe, candy corn, a chocolate wafer, and a few other ingredients, you’ll have an adorable and yummy dessert that’s easy to make and even easier to eat. 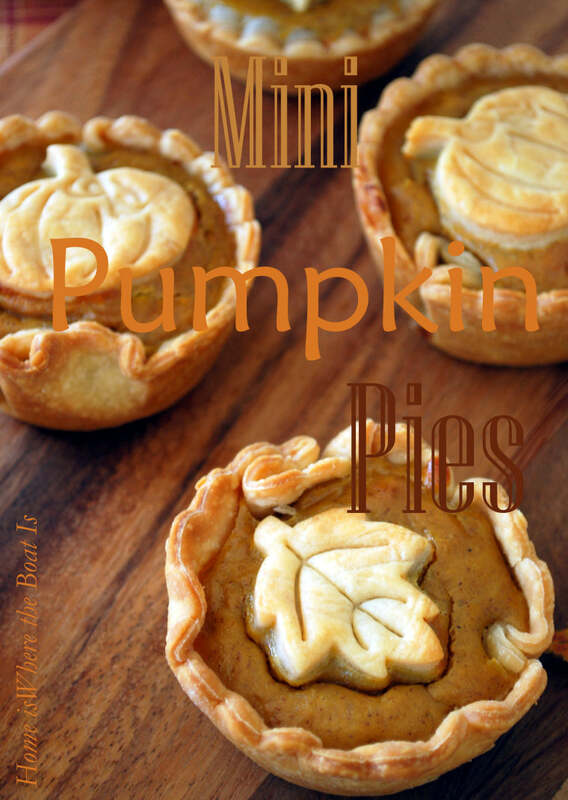 If you’re usually stuffed by dessert, these are the dessert pies for you! Smaller than the tiniest sliver of pumpkin pie, these minis are made in muffin tins, so you can still enjoy a sweet flavor without giving yourself a stomach ache. Hershey’s Kisses aren’t just for Christmas cookies. 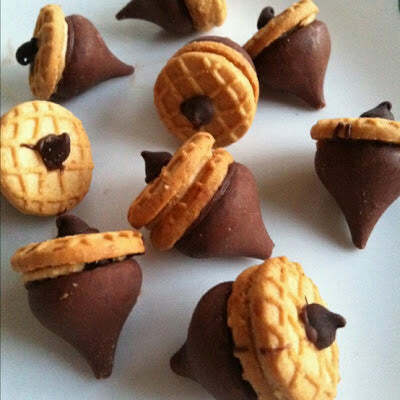 These peanut butter acorns are a Thanksgiving-friendly dessert item that are bite sized and creative. Using a peanut butter cookie, mini chocolate chip, melted chocolate (as glue), and Hershey’s Kiss, you can make sweet little acorns to put in a glass bowl or give out as Thanksgiving party favors. 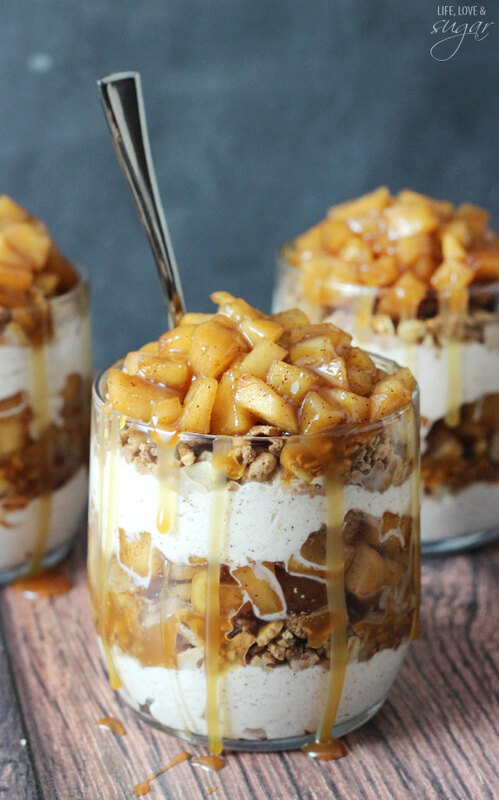 Instead of having a bunch of pies to cut up, why not try these individual caramel apple trifle cups? They’re really easy to make ahead of time and can be assembled right before dessert. You can even have everyone make their own for a twist on a typical Thanksgiving dessert routine. 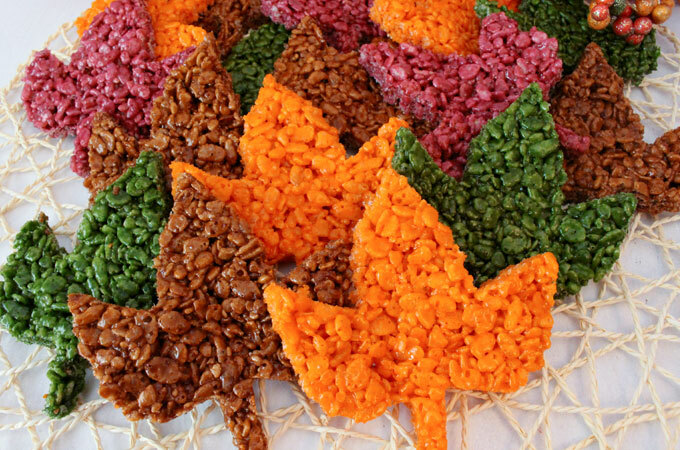 The leaves are probably crunching under your feet outdoors and they can be between your teeth too with these leaf rice krispy treats. Using some food coloring, Rice Krispies, and cookie cutters, you can make an original treat. Wrap them up and let your guests take them home, use them as table settings, or just set out a platter next to the pumpkin pie. We’ve covered leaves, turkeys, and pumpkin and apple flavored treats, but it wouldn’t be right to leave out the scarecrows fall is known for. 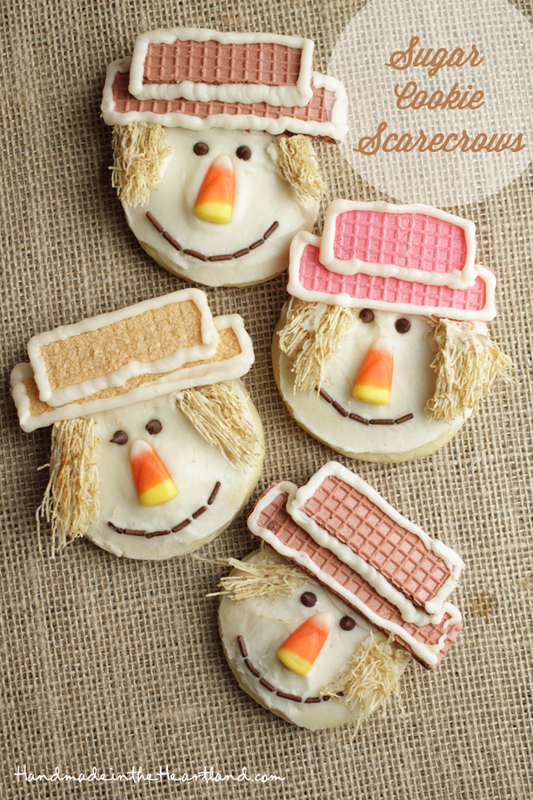 These are an exceptionally cute cookie and tasty too! Follow the directions online and give your guests something to smile about when dessert time rolls around. Before this loaf is sliced and diced, it may look like a typical pound cake. 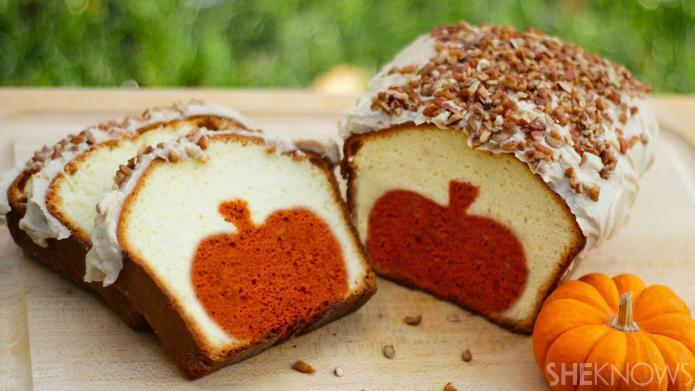 But once you cut it open, you and your guests will be surprised by the delightful pumpkin design inside! This isn’t a magic trick. It’s actually fairly simple to do. So give it a try if you like a Thanksgiving surprise. These turkey cupcakes are a blast to make. 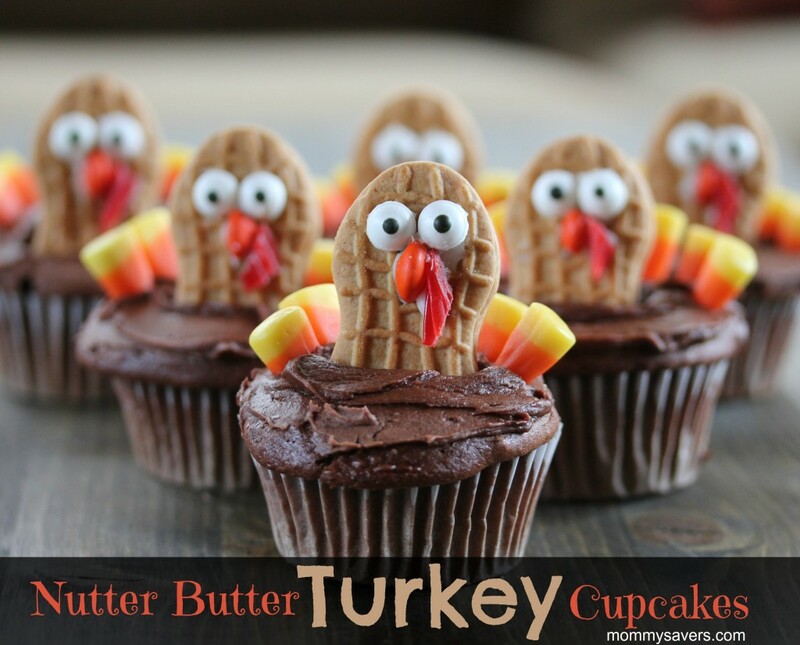 Use whatever cupcake recipe you love most, make chocolate frosting, and then use a Nutter Butter cookie, candy corn, and some extra accouterments to transform regular treats into adorable turkeys. Get your kids to help if you’re busy making a ton of other Thanksgiving food. It will keep them busy (and full) for a couple hours! Sometimes all you need is a hint of something sweet after a big meal to top it all off and satisfy every craving. That’s why we love these mini caramel apple bites. 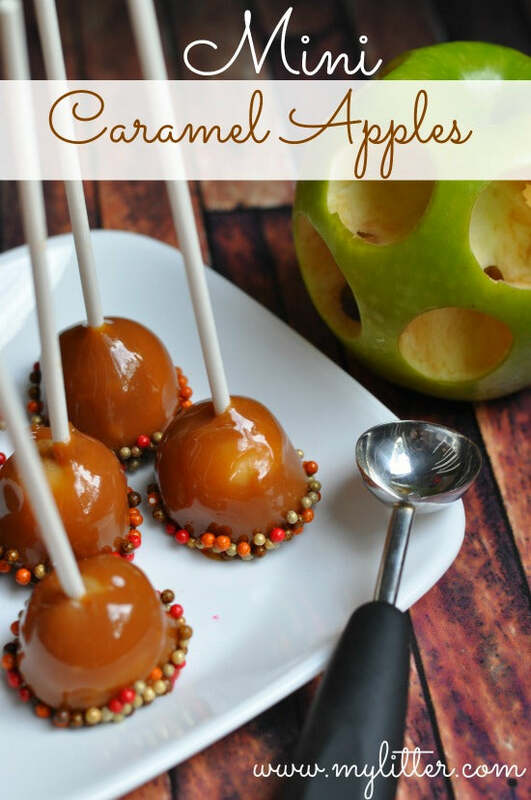 By using a melon baller, granny smith apples, and some caramel, you’ll essentially have shrunken down caramel apple lollipops for all of your guests to enjoy. 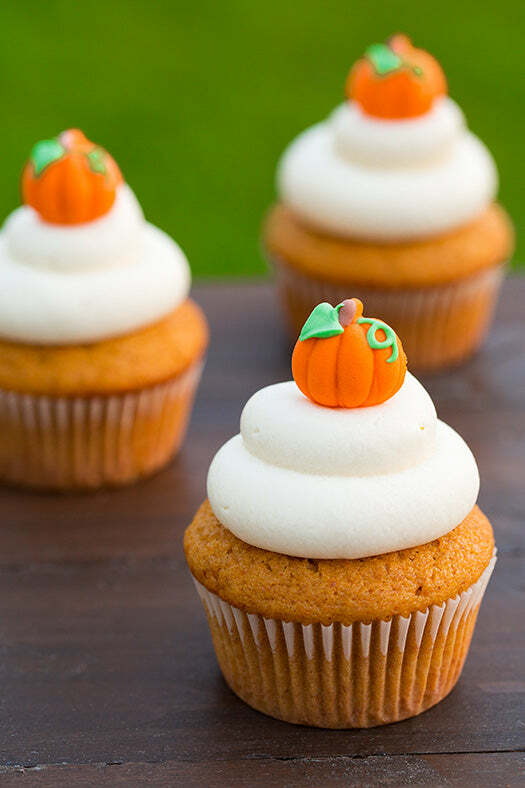 For the truly strapped-for-time Thanksgiving host, these pumpkin cupcakes are an easy way to present a fun dessert without having to spend too much time in the kitchen. Make cupcakes (from the box is always quick!) and then top them off with a candy corn pumpkin. 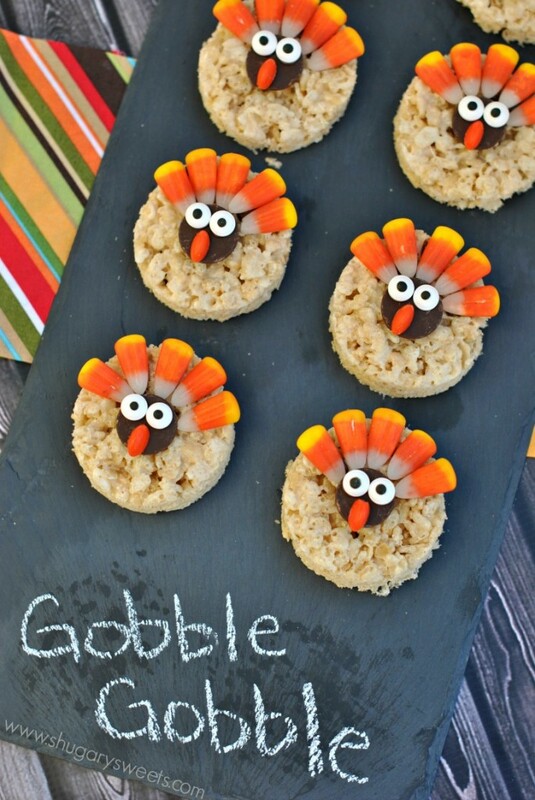 They’re cute, tasty, and will be a hit on the dessert table this Thanksgiving. Not all desserts have to be loaded with calories. These cone-ucopias are the perfect solution to introduce something lighter to your menu. 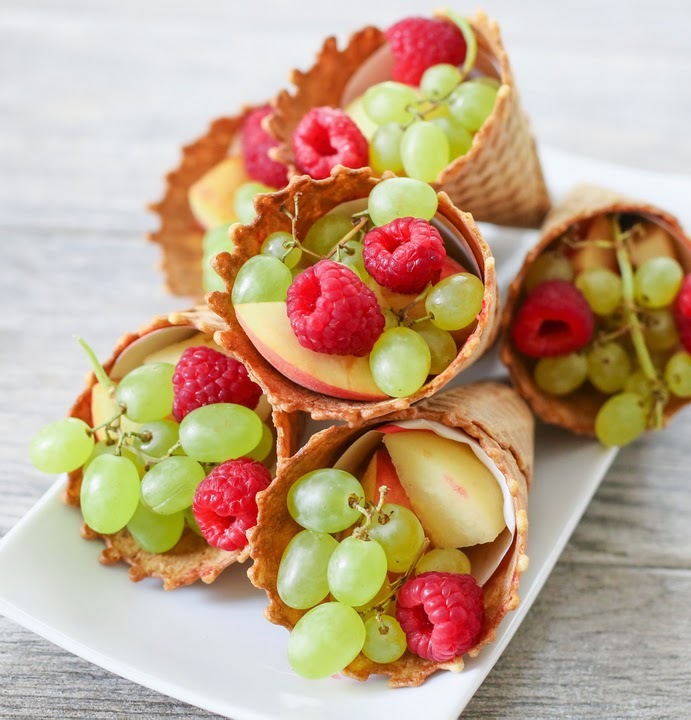 Just pick up some ice cream cones and load them up with fruit. Set them on their sides and they’ll look like overflowing cornucopias! You can even try a savory version. One of the first ships to found the new world, the Mayflower, is a quintessential part of Thanksgiving. 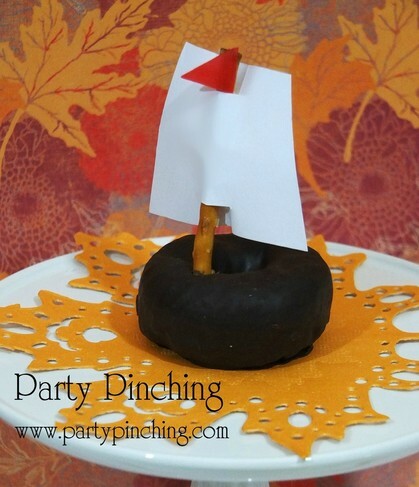 Teach your kids a lesson in the history of America by making some of these Mayflower treats and letting them set sail on the taste buds of Thanksgiving guests. America wouldn’t be what it is today without the brave accomplishments of the pilgrims! 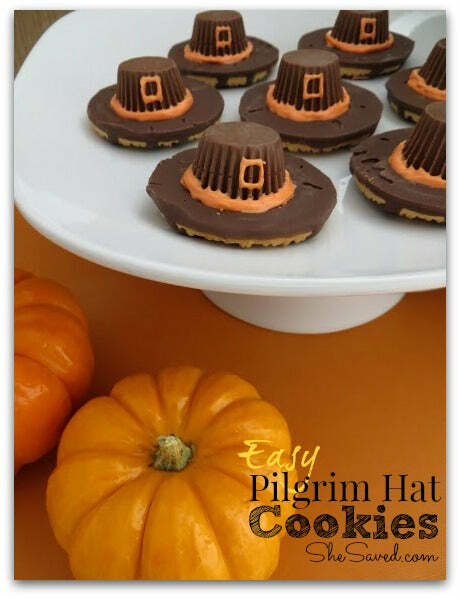 Celebrate a part of American history by creating these edible pilgrim hats. With simple ingredients like a chocolate coated cookie, mini Reese’s Cups, and some orange icing, you’ll have a tasty and thematic sweet in no time. 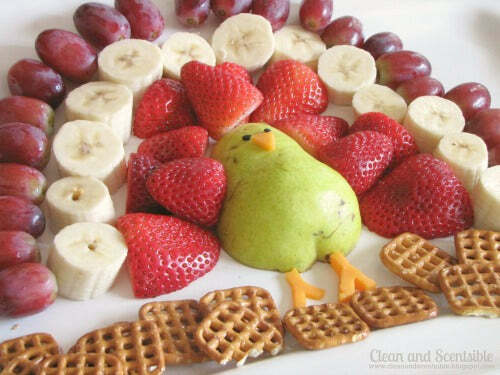 Melt a big pot of chocolate and set this turkey-shaped fruit platter out beside it. Your guests can dunk their favorite fruits as they please and enjoy the cute thought you put into dessert. The best part about fondue is that it accommodates a ton of different ingredients. Choose the ones you love most like pound cake cubes, pineapple, or Oreos!